What is the Space Between? When my heroine, Mellis, asks essentially that question, the Keep’s ancient cat, Kindle, tells her it is the space between “the mundane and the divine. Between mortality and eternity . . . Between Heaven and Hell.” It’s a liminal place existing between the thresholds of the human and the supernatural, with elements of both. The books in the Space Between series move back and forth across time and between worlds to create a fantastical story of angels and demons, monsters, faeries and dragons. 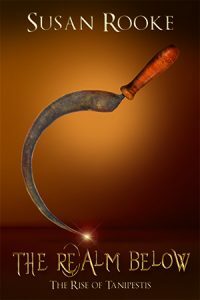 Abounding with spirituality and humanity, this faery tale for adults has a cast of vivid characters you won’t soon forget. 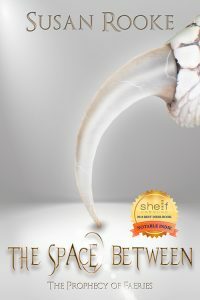 Book 1 in the Space Between series tells the story of Mellis, a young woman kidnapped from the human world by the Penitents, a tribe of disfigured faeries who are descended from angels. They believe that Mellis can help them fulfill an ancient prophecy and return them to grace, but soon a series of life-changing events brings deadly consequences and revelations that shock both the Penitents and Mellis herself.